Butter London Lacquer is individually designed and tailored to the current runway fashion of the hottest designers. 'British Khaki' is a dark khaki green. Fade-resistant colour which smooths and strengthens. 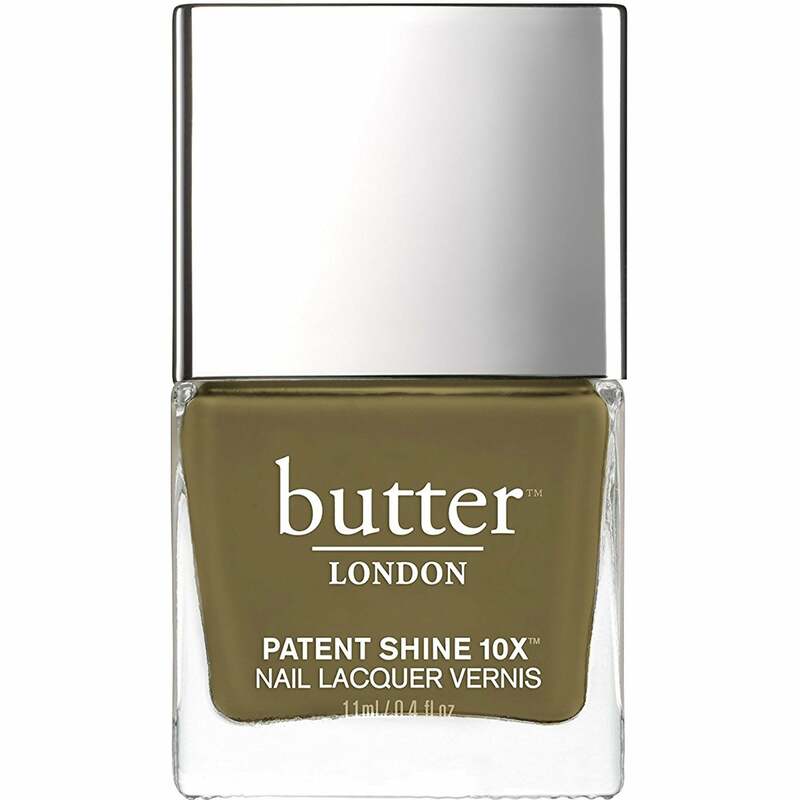 Butter London is a top class brand with lots of familiar british polish names its easy to get the style of this brand. They sell Numerous treatments and have perfect birthday gifts to own, your friend won't be complaining if they receive a butter london product that's for sure. With over 150 Butter London shades to choose from This premium brand delivers high quality, long lasting nail lacquer and durable basecoats and topcoats to help keep your nails looking fabulous.